Discussions of Weezer’s recent work have tended towards the philosophical, and perhaps also the overly kind. Are we being trolled? Is this a sort of exercise in performance art? Or, in reality, are we simply seeing a once beloved rock band flounder as they head towards the twilight of their career? ‘The Black Album’, their 13th LP, almost aggressively plays into this dynamic with a slate of songs that alternately feel tossed off and self-involved. While Weezer remain a critical byword for fuzzy, hooky indie-rock, that rep is now a musty 23 years old and ‘Pinkerton’, the record that set it in stone, is as problematic as it is influential. In 2019, Weezer seem more interested in messing with expectations than living up to them—this LP, after all, follows their five minutes of good-natured Africa meme fame being parlayed into a largely execrable, good will-killing covers album. But those expectations keep on coming, and that’s another lens through which we must view Rivers Cuomo’s writing. ‘The Black Album’ is the latest in a long line of Weezer records intended to be little more than an excuse to blow off some steam, and it is almost entirely goofy and empty-headed. “I don’t know karate or kung fu, but I’m going to make it in this world,” he sings on the snotty synth-rock jam Zombie Bastards. The band continue to put up a tongue-in-cheek front that occasionally slips, keeping people in their orbit just in case they happen to find ‘The Blue Album’ mark two in a corner of Cuomo’s head. So much pressure has been placed on his shoulders by a fandom that has longed for more—more angst, more of the old stuff, more songs that fit the ‘Pinkerton’ cookie cutters—that their modern output looks like a direct response. And it all adds up to a firm ‘no’. At this stage, Weezer are a truly confounding proposition: one third pioneering indie-rock band, one third heritage act and one third viral marketer’s dream. It’s hard to write music that looks good in all three outfits, but Cuomo doesn’t seem overly concerned with that. 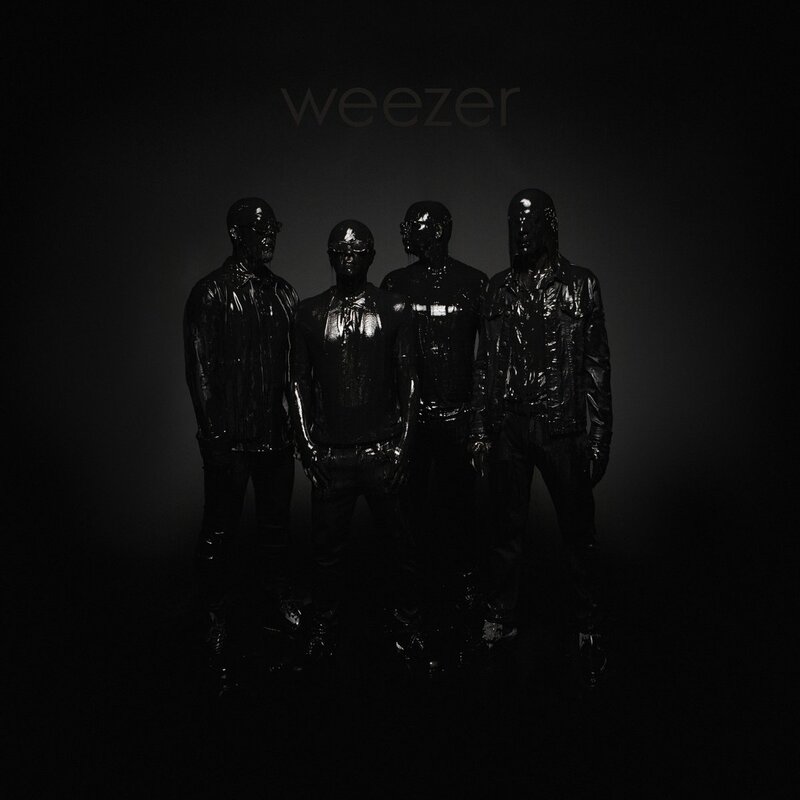 ‘The Black Album’ is another Weezer record that feels like a slap in the face from someone you can’t get truly angry at. 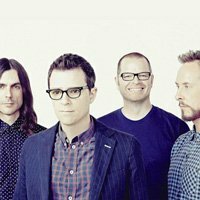 Click here to compare & buy Weezer Tickets at Stereoboard.com. 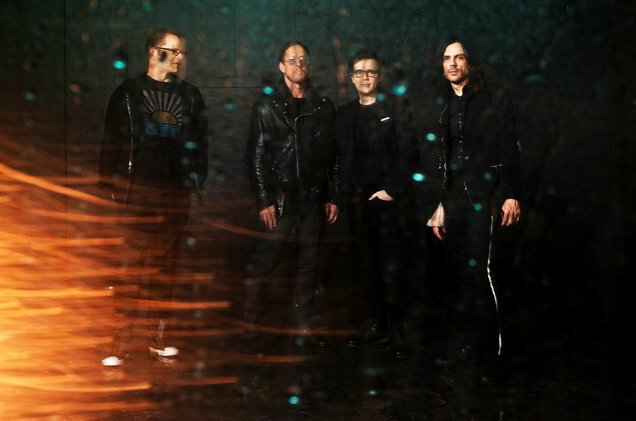 Weezer have shared two more tracks from their 13th studio LP, 'The Black Album'. Weezer have surprise released a covers record. Rivers Cuomo has shared a new single.